Monrovia-Liberia - Former Ghanaian First Lady Nana Konadu Agyeman Rawlings, has officially launched the Jewel Starfish Foundation, commending the founder Chief Dr. Jewel Howard-Taylor for brilliant initiative. Madam Rawlings according to a release from the Office of the VP, thanked the former first Lady and Vice President for her thoughtfulness for the future of underprivileged children especially the girls in Liberia. 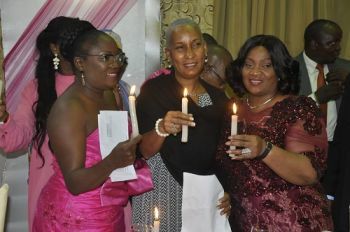 While offering to help in the support of the foundation, the former Ghanaian first lady underscored the need for others to also support the foundation for the development of the girl child. 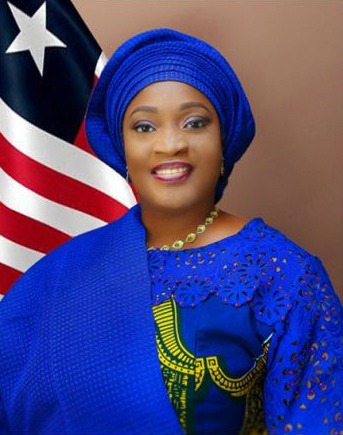 Under the theme,“ Changing Lives and Making a difference –One girl at the time,” the Jewel Starfish Foundation according to the founder Chief Dr Jewel Howard-Taylor, seeks to provide scholarships for girls education and to cater to victims of gender-based violence across Liberia. “We all must work together to secure a better future for Liberia through investing in the education, especially in women and girls”VP Howard-Taylor to the audience at the launching ceremony. She likened the girl child in Liberia to the scenario where a boy usually wakes up and walks down the sea to throw back into the sea starfishes, adding that the boy’s action safe the live of many starfishes that could died once they are not in the sea water. VP Howard-Taylor explained that the launch of the foundation will further strengthen her resolve and commitment to empower more girls across the country. “Let me thank President George M. Weah for giving me his support to this endeavor. I admonish each and every one of us Liberians to begin to support the education of every Liberian child whose parents cannot afford”the Founder of the Jewel Starfish foundation averred in her remarks at the ceremony. Graced by His Excellency George M. Weah and Wife, first Lady Clar Weah, Former Malawian President Dr. Joyce Hilda Banda and the former Zimbabwean Vice President Dr. Joice Mujuru, among others, the official launch of the Jewel Starfish Foundation, coincided with the 2018 International Sheroes Women forum. Several personalities received certificates of honor by the foundation for their humanitarian services rendered and their support for the girl child.